We explore an upscale steakhouse in Huntsville and find much to like. We’d been hearing rumblings about a great steakhouse in Huntsville from some knowledgable foodies. So we decided to take the surprisingly short trip from the Woodlands up to Huntsville, an easy 45 minute drive on I-45. Arriving at night, we were impressed by a big, scenic house on the hill; this turned out to be 1836 Steakhouse. We were shown one of the main dining rooms of the restaurant; it’s cozy, slightly rustic, and comfortably upscale. 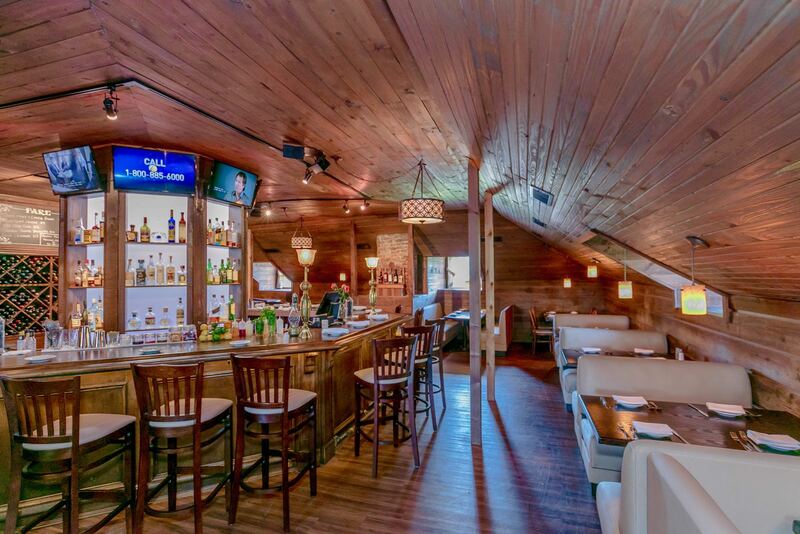 We headed upstairs to the bar area where we’d be seated; cozy was again the word that comes to mind. The bar was recently renovated, and they’ve created a beautiful, welcoming space. 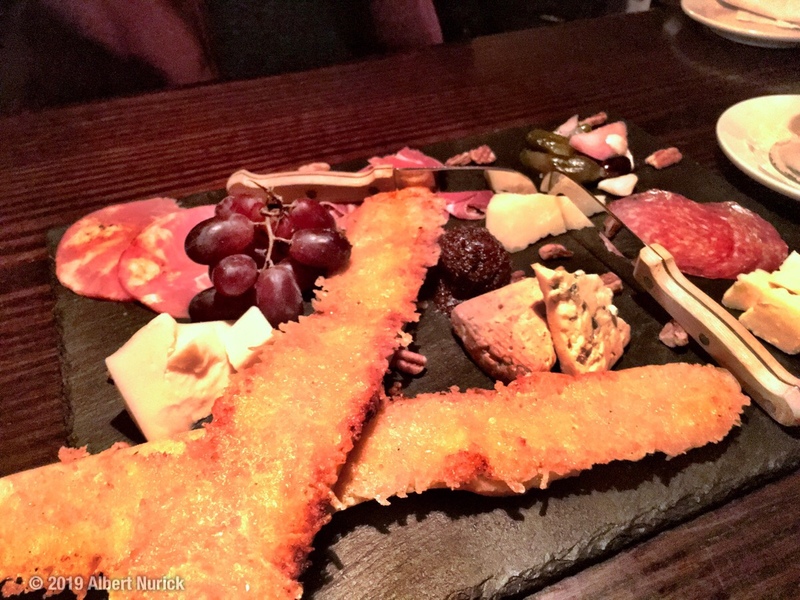 After a brief wait, the first dish arrived, a rustic charcuterie featuring a variety of cured meats, artisan cheeses, fruit, nuts, and an outstanding fig jam. The selection was carefully chosen, with distinct, memorable flavors and a nice range of textures. Next up were the appetizers. 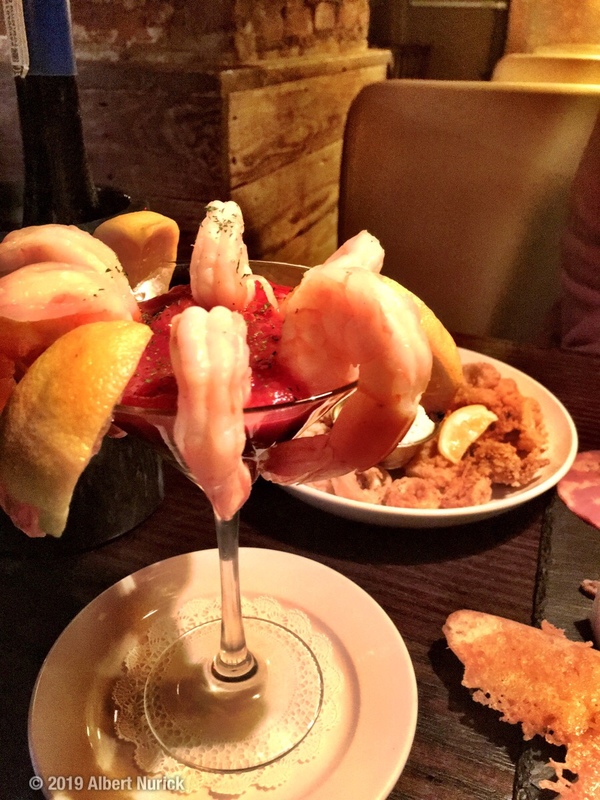 The first was an excellent shrimp cocktail. Large cold boiled shrimp in a tangy cocktail sauce, and another group in a zesty remulaude were our favorites. Shrimp are easy to get wrong, and 1836 got them right. The entrees appeared shortly after. 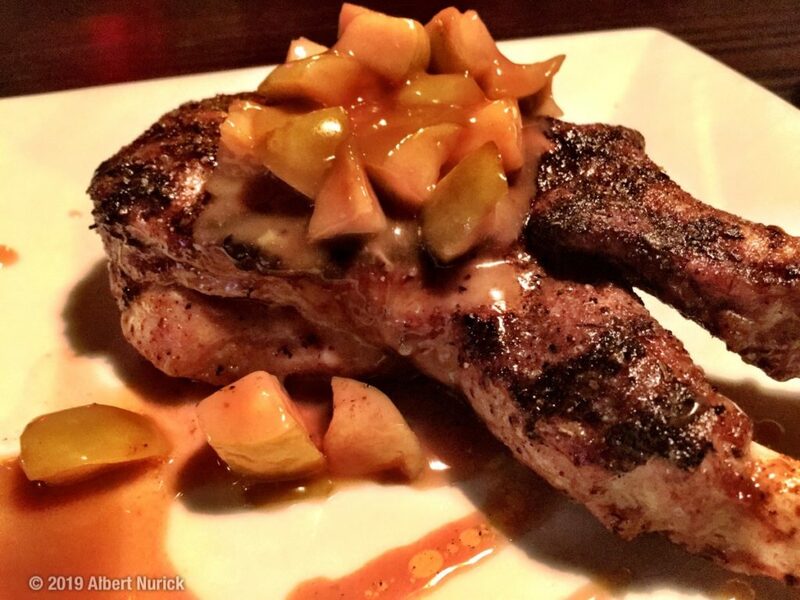 Notable was the beautiful two-bone pork chop, beautifully charred and topped with chopped apples. This was a sophisticated take; the flavors were subtle and beautifully balanced. Next came the special; a grilled buffalo steak. Prepared in the sous vide fashion before grilling, it was exquisitely medium rare, remarkably tender, and had a delicious flavor. 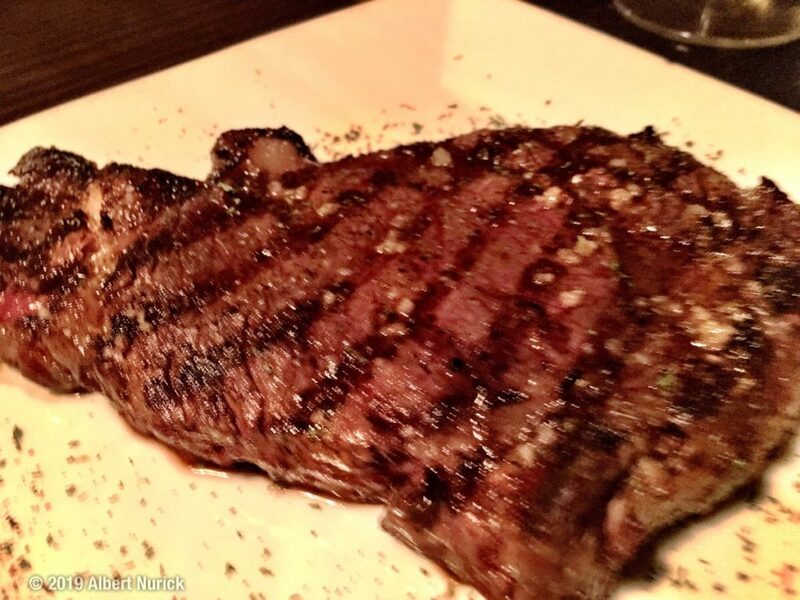 We’re not usually ones for non-beef steaks, but this was a superb offering that we’d be happy to order again. If it’s offered… get it. 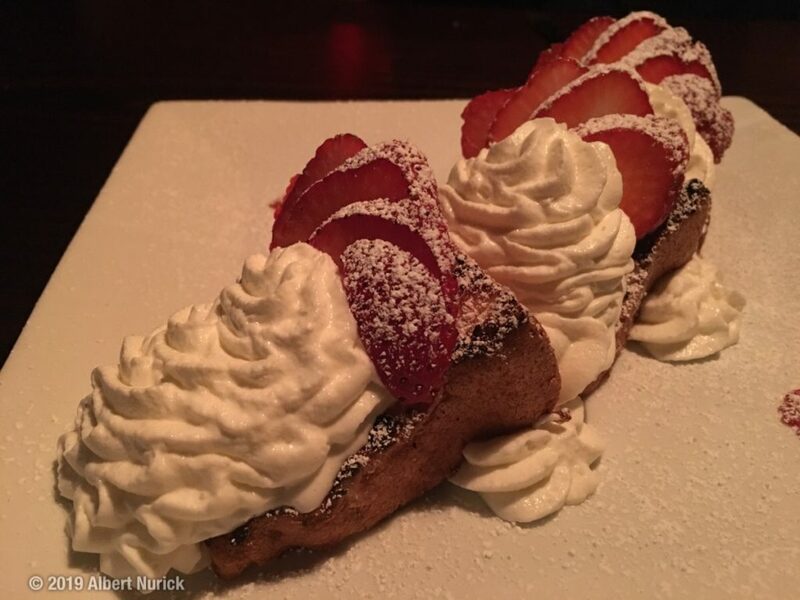 Our favorite dessert was a charred strawberry shortcake; something we’d not seen before. The charring was a very clever approach; the caramelization of the shortcake brought a delightful bitterness to the dish that balanced out the sweetness of the strawberries and the whipped cream. Again, the chef is showing a deft touch and mastery of flavors that makes this meal rise above the ordinary. To say we’re fans of the 1836 Steakhouse would be an understatement. The expertly prepared cuisine, the friendly, professional service, and the beautiful setting combined to make this a highly recommended dining destination for those looking to get out of the Woodlands. We look forward to returning and sampling more of this talented chef’s offerings.